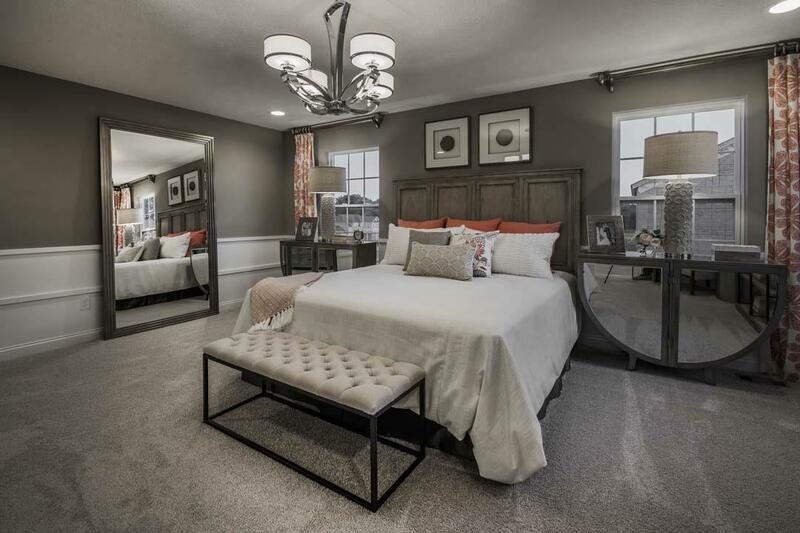 Ever since I discovered HGTV a decade ago, I’ve been fascinated with interior design. 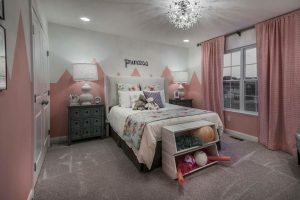 I love the way that it can take a space from drab to fab, and how it translates fashion trends from the runway to your home. Mary Cook is a BIG name in the industry. She’s the one who identified the “Seven Fundamentals” of successful interior design, and wrote the book on it (no, seriously, I have her textbook, “The Art of Space”!). Over the years, Mary created quite a following, and business, around her design fundamentals, theories, protocols, etc., and now Mary Cook Associates is considered the best of the best! 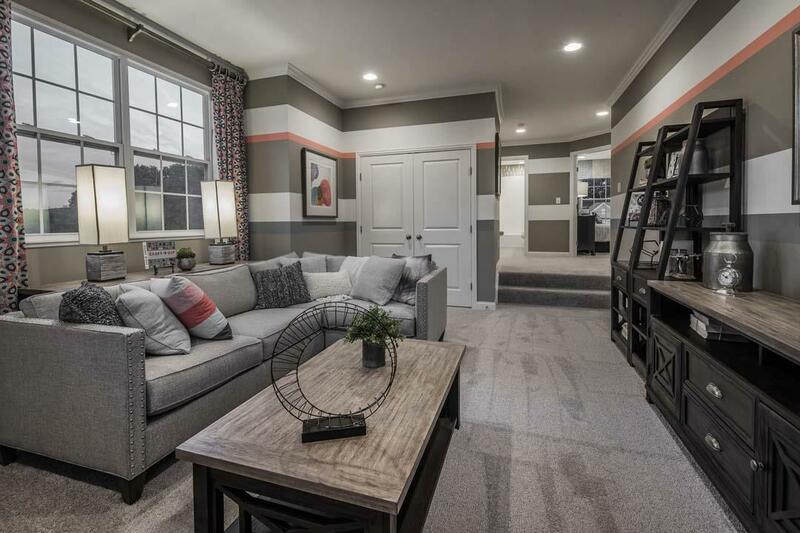 That’s why it’s so exciting to hear that Mary Cook Associates is going to be doing the interior design of the M/I Homes’ new home community in Westerville, “The Village of Minerva Park,” that I visited last week! 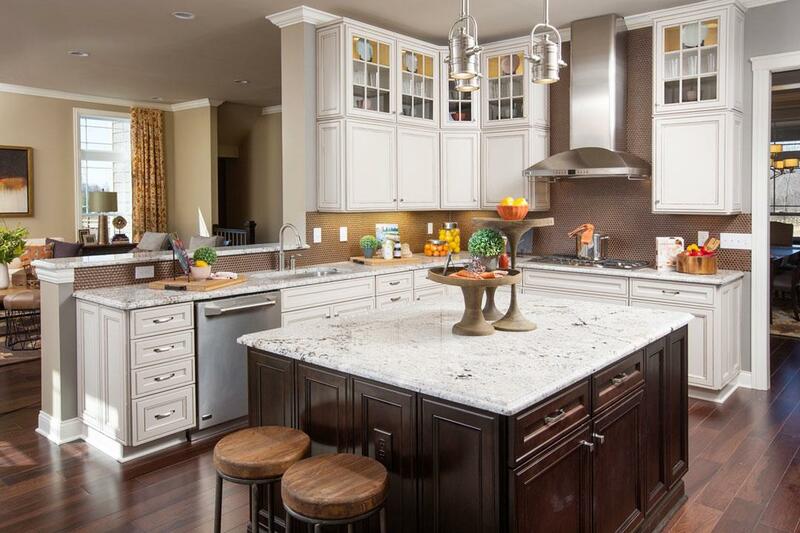 Turns out, Mary Cook Associates does all the design work for all M/I Homes communities across the nation! That makes sense because I’ve been in fully decorated M/I Homes models before — they truly DO feel different, and really do help you see how happy you and your family could be in them (one of my good friends, Megan just bought a M/I Home, and said it was the BEST decision ever!). But when I got a tour of The Village of Minerva Park model last week, it was such a sneak peek that it hadn’t even been decorated yet! I could see wall colors and light fixtures, but there wasn’t anything else, like furniture, wall treatments, rugs, etc. 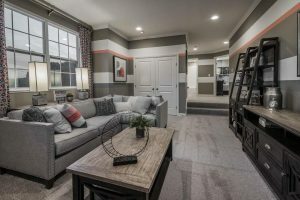 I kept asking about what they were going to do with this or that room, so they connected me with Kate Brennan of Mary Cook Associates, who worked on the design concept for this The Village of Minerva Park model, so I could ask her myself. So exciting! The Village of Minerva Park is having their big Grand Opening event tomorrow, March 25, and that’s when the decorated model will be unveiled. I’m DEFINITELY going to see what they did with the space! Plus, they’ll have a food truck and lots of fun stuff for the whole family to enjoy! Hope to see you there!